There has been much deliberation and research done in attempts to create a link between traumatic brain injuries or TBI and dementia. While research is still on-going, there have been some cases that successfully link these two issues. What is a Traumatic Brian Injury or TBI? A TBI is a mild to severe medical situation in which the brain typically receives a blow or violent jolt. The result of this can include bruising, bleeding, torn tissue, or other types of physical damage. Currently, falls are the most common cause of TBIs, but TBIs can also be caused by automobile accidents, sports injuries, or a plethora of other incidents. While TBIs can be mild and often go unnoticed, there are cases in which a TBI can cause long-term complications or even be fatal. A concussion is a type of mild TBI and is one of the most common types. Symptoms of a TBI include difficulty sleeping, sleeping more than normal, nausea, vomiting, headaches, loss of consciousness, disorientation, fatigue, sensory issues (blurred vision or ringing in the ears), sensitivity to light or sound, mood changes, mental or memory problems. It is of utmost importance to seek a personal injury attorney’s assistance as soon as possible when a TBI as it can possibly affect one’s ability to work and seeking professional assistance immediately will shorten the span between the incident and receiving the maximum benefit. Dementia is caused by a decline in mental ability to the point at which it interferes with daily life. Dementia is an overall term used to describe a group of issues that are associated with the decline in mental ability. Alzheimer’s disease is one of the most common symptoms of dementia, but there are many other conditions that cause symptoms of dementia. Some of the symptoms of dementia include: memory loss, communication issues, inability to focus or concentrate, difficulty reasoning, and sensory issues. Most of these symptoms end up being progressive, starting out mild and possibly going unnoticed until the symptoms begin impairing daily life. Dementia requires evaluation by a medical professional in order to determine cause or find a possible treatment for the condition. Early diagnosis is essential as this allows one to get the maximum benefit from any available treatments and gives the individual time to plan for future complications from dementia. An attorney is one of the best resources when determining the best steps forward in both planning for the future and seeking any compensation deserved from this severe medical issue. How are TBI Linked to Dementia? Given the fact that TBIs and dementia share some symptoms, it is easy to conclude that the two are related. There have been numerous studies done to prove this link. Some of the studies conclude that a TBI can indeed increase the risk of developing dementia symptoms. Individuals who experience repeated concussions or TBIs such as athletes, combat veterans, or those who are involved in multiple vehicle accidents over the years have shown to be at much higher risk of developing symptoms of dementia. Fortunately, these studies also appear to show that there is no evidence that a single TBI can increase dementia risk. Currently there is more research being done on this topic in order to understand the link between TBIs and dementia symptoms. This link has been difficult to ascertain due to the face that dementia symptoms are often overlooked or left untreated since the symptoms are progressive and often start out mild. TBI symptoms are often far more noticeable as there can be a drastic change between one’s abilities immediately after the TBI occurs. The research linking these two issues together is significant because when creating a case for benefits, the long-term health issues that will arise are also taken into account. It is not simply a case of the immediate hospital bills and property damage that is awarded to the victim. Long-term changes to one’s quality of life, health, and mental abilities must also be considered when considering the amount of compensation due for one’s losses and suffering. While symptoms of a TBI can be life-threatening, many of the milder symptoms can be treated and even recovered from in weeks or months. Changes that cause permanent damage or a permanent change in quality of life and one’s ability to work or care for one’s self are significant and often come with frequent hospital visits and vast hospital bills. In order to obtain the benefits necessary to handle these changes it is vital that the victim immediately seek an attorney’s help and advice on how to proceed in order to face these issues effectively. Both TBIs and dementia symptoms require specialized medical care as they can significantly affect a person’s quality of life. In these cases it can be especially important to seek an attorney’s assistance. A fall can often be the result of improper maintenance, signage, or lighting. A fall caused by unsafe conditions are not the fault of the victim. In cases of TBIs that are caused by falls or vehicle accidents, Rue & Ziffra can be a great asset in getting the justice and compensation deserved by the victim. We have handled over 28,000 cases and won over $438 million dollars in deserved compensation for our clients. We take our cases on a contingency fee basis, meaning no fees need to be paid until our client receives the justice they seek. In order to better serve our community we do our best to offer the most effective means of communication that we can by offering English, Spanish, and Russian speaking attorneys. Having been in business for over four decades, we have the experience needed to take the fight to the big insurance companies and win the settlements desired. 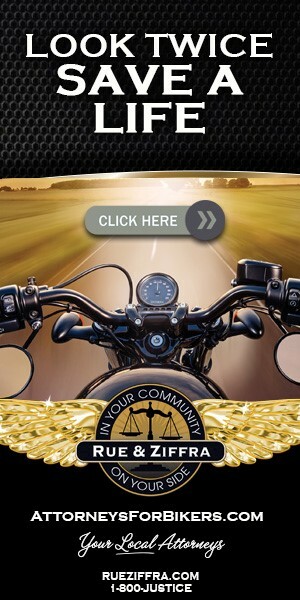 At Rue & Ziffra, we believe that it is absolutely essential that the victim receive the utmost benefits due to them and we do everything in our power to ensure that our clients are not given less than deserved by the insurance companies, who will do everything in their power to pay out as little as possible. Dealing with the problems that arise from TBIs and dementia can be overwhelming, but does not need to be faced alone. At Rue & Ziffra, we are committed to making a difference and will relentlessly pursue a case until justice is served.